Rick Perry Is a Higher-Education Visionary. Seriously. Rick Perry is wrong about many things, including (but not limited to) the reality of climate change, the treasonous nature of quantitative easing, and the execution of innocent men. But give the man credit: He’s got some smart ideas about higher education. The fact that most liberals think otherwise reveals a glaring weakness in the progressive education agenda. 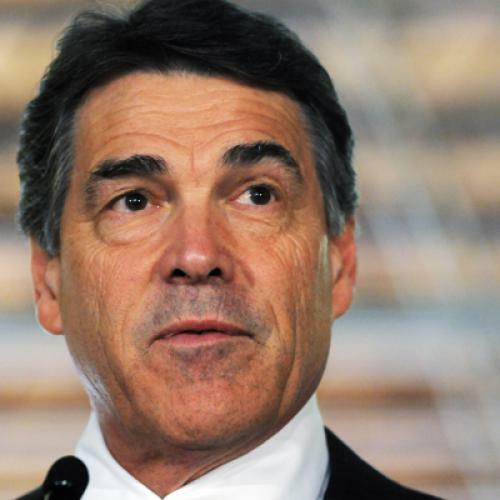 Perry’s push to reform the academy came late in his decade-long tenure as Texas governor, after he finished filling the state’s public university governing boards with his personal appointees. In 2008, he urged university leaders to begin implementing “Seven Breakthrough Solutions” for reforming higher education that had been developed by the conservative Texas Public Policy Foundation. Anyone who has suffered through a mind-numbing university lecture or signed up for a star professor’s course, only to be taught by an indentured graduate teaching assistant with a tenuous grasp of the English language, knows that university teaching is often terrible. A landmark study of college student learning published earlier this year by the sociologists Richard Arum and Josipa Roksa of NYU and the University of Virginia found that “American higher education is characterized by limited or no learning for a large proportion of students, and persistent or growing [race- and income-based] inequalities over time.” Fixing this problem ought to be a bipartisan concern. Like bad teaching, the reality of freeloading professors is openly acknowledged on college campuses. And like bad teaching, it is confirmed by research from within the academy itself. Lawrence Martin, Dean of the Graduate School at SUNY-Stony Brook, has compiled a database of scholarly productivity—including books, journal articles, citations, research grants, and awards—for every tenure-track professor in America. He found that while the top 20 percent of professors are producing a remarkable amount of work, “in most fields for which journal publishing would be expected, fully 20 percent of the faculty associated in Ph.D. training programs have not authored or co-authored a single publication in one of the 16,000 journals indexed” in the previous three years. The fact that some of these laggards simultaneously enjoy light teaching loads is galling. The backlash against Perry’s agenda came quickly. A group of prominent A&M alumni wrote an open letter calling the reform efforts “damaging,” “self-serving,” and “naive.” More ominously, the president of the Association of American Universities, a cabal of elite research institutions, took the unusual step of sending A&M a public warning. With all the subtlety of a mob enforcer telling a shopkeeper that he’s a got a nice business here and wouldn’t it be a shame if anything happened to it, the AAU president informed the A&M chancellor that “Recent proposals that have been advanced by the Texas Public Policy Foundation, and apparently supported by some regents and Governor Perry, appear to diverge” from the research mission that had won A&M admission to the prestigious AAU in 2001. IT’S UNSURPRISING THAT public universities would oppose being held accountable for how they spend public money or that unproductive professors would fight to extend their free ride. When the AAU insists that research and teaching cannot be separated for the purposes of budgeting, tenure, or evaluation, it is repeating the fiction on which its members depend. Everyone knows that AAU institutions get away with ignoring teaching in favor of promoting research by enrolling a lot of smart students who are still smart after four years of expensive, mediocre instruction. But they have to allege otherwise in order to keep public dollars rolling in. The AAU pretends that teaching and research are inextricably linked because that’s how they short-change the former in favor of the latter. Reforms that cut college costs and improve teaching ought to be supported by college students. The liberal Center for American Progress has been a leader in organizing progressive college students and pushing for more generous Pell grants and student loans. Yet when The Washington Post published a lengthy article about Perry’s reforms, the ThinkProgress blog simply ran the piece through the standard Republican presidential candidate critique machine, concluding that because many of Perry’s board appointees had contributed to his election campaigns, and because evaluating faculty productivity seems vaguely business-like, the whole thing was just an attempt to turn public universities into evil, for-profit colleges. This yawning gap between the best interests of the progressive constituency and the consensus opinion among progressive elites flows from confusion combined with self-interest. While research universities are largely populated by left-leaning faculty and students, the institutions themselves are essentially conservative. They are established, wealthy, powerful, and determined to stay that way. Normally, liberals see institutions with those qualities as targets for reform. But most people who occupy positions of influence within the media and political spheres got there by way of attending just such a university. Progressives tend to be enthusiastic about sticking it to every available Man other than the one who conferred their prized college degree. People who are born with an abundance of genetic, financial, and social advantages are least susceptible to the profound academic and managerial shortcomings of higher education. It’s the marginal students who get hurt when costs rise and teaching is neglected. But those people tend not to work for legislatures, think tanks, and magazines. Of course, conservatives don’t help matters by mounting David Horowitz-style campaigns against alleged radicals and communists in the professoriate. Those kind of silly attacks are used to tar the motivations of Republicans with a genuine interest in making public colleges and universities work better. And Perry’s reforms have not been without missteps, including numerous inaccuracies in the original spreadsheets analyzing faculty productivity. To be useful for making tenure and other decisions, faculty productivity measures would need to account for factors like small graduate school class sizes and the way academic disciplines differ in their connection to sources of external funding. Other ideas, like tying faculty pay to anonymous end-of-course student evaluations, reflect the right spirit but need refinement. In introductory courses taught at the Air Force Academy, for example, professors teaching different sections share a common curriculum and grade exams collectively, allowing instructors to be evaluated based on students’ grades and success in subsequent advanced courses in the same subject. There’s no reason other public institutions—which all teach the same intro classes, often badly—couldn’t use the same approach. But the obstacles to reforming higher education run much deeper than the failure to adopt a few best practices. Progressives have invested great effort in improving K-12 schools on behalf of low-income and minority students. Yet they refuse to acknowledge that the very same students often go on to colleges and universities that are bad at teaching and increasingly overpriced. The left has bought into a false narrative holding that American colleges and universities need nothing more than increased funding and freedom from public scrutiny. That means that the only policymakers with the will to pursue authentic higher education reform are people like Rick Perry. That such an illiberal man is doing more to help college students than his Democratic peers should give pause to anyone with a genuine commitment to promoting progressive higher education.